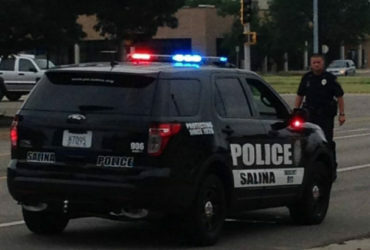 Salina knew it would take a special performance to knock off the defending Championship Indoor Football North Division champions. 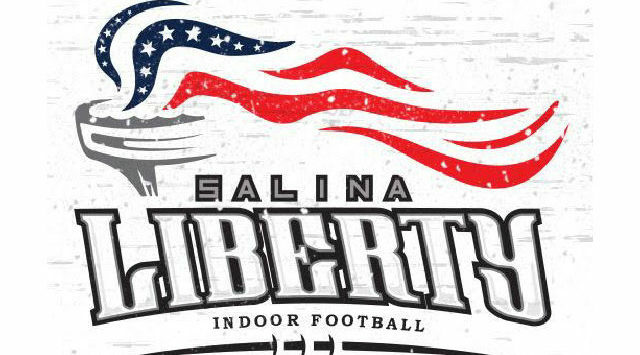 The Liberty scored eight offensive touchdowns, the defense forced turnovers, and Salina dominated the Sioux City Bandits, 65-45, in its 2019 home opener at the Tony’s Pizza Events Center. Salina matched Sioux City for the regular-season North title a year ago but lost to the Bandits in the playoffs. Sioux City’s first play didn’t look promising for Salina as Dorian Cowart returned the opening kickoff 37 yards for a touchdown. The Liberty made up for the special teams blunder late in the first when Sean Kelley recovered a bobbled return, setting up a Liberty touchdown. Following a 34-24 halftime advantage, the Liberty stopped a Sioux City drive with an interception in the end zone by Winston Green. The Bandits cut the deficit to 14 points with 9:24 remaining, but the Liberty offense and defense joined forces to put the game on ice. Tailback Tracy Brooks scored on a four-yard run to balloon the lead back to 20. On the ensuing series, defensive end Jake Lattimer recorded a strip sack, picked up by big fella Dana Harris for the final strike. Salina accumulated 367 total yards to just 189 for Sioux City. Quarterback Andrew Jackson completed 21 of 33 passes for 274 yards and five touchdowns, a pair going to Anthony Jones. Brooks ran for 88 yards and three scores, plus catching a touchdown throw. Salina (1-1) stays in town next Saturday, squaring off with the Texas Revolution. Kickoff is set for 6:30 pm at the Tony’s Pizza Events Center.